By 11 that morning, I got a GRIP! What is my problem? Thirty five is the new fifteen, after all, I AM STILL getting zits!! I have so much life left to give! I have people to see, plans to make, children to raise, dogs to walk, missions to accomplish, and gift cards and birthday money to spend! 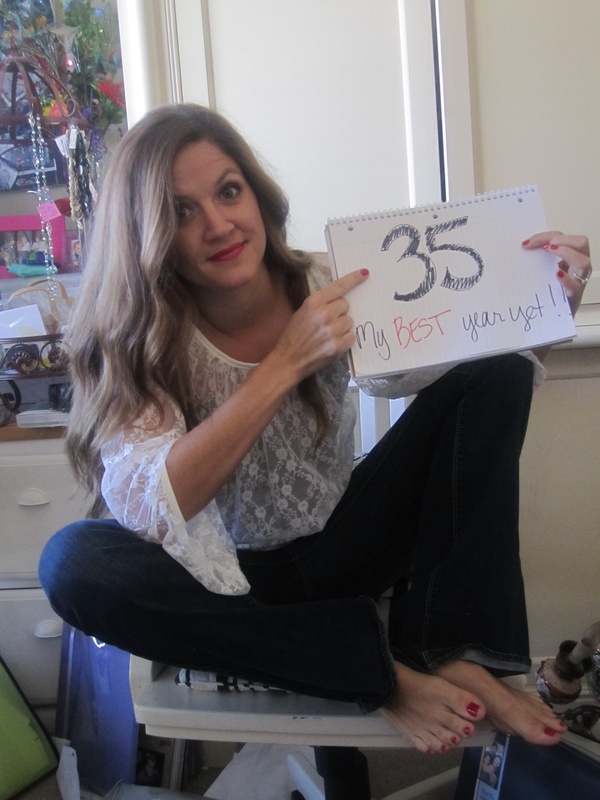 Who says that thirty-five won’t be my best year yet? Certainly not me, I would never whine about getting older, this glass can only be half full!!!! Out of my way world, look out because I am just getting started! I mean it!